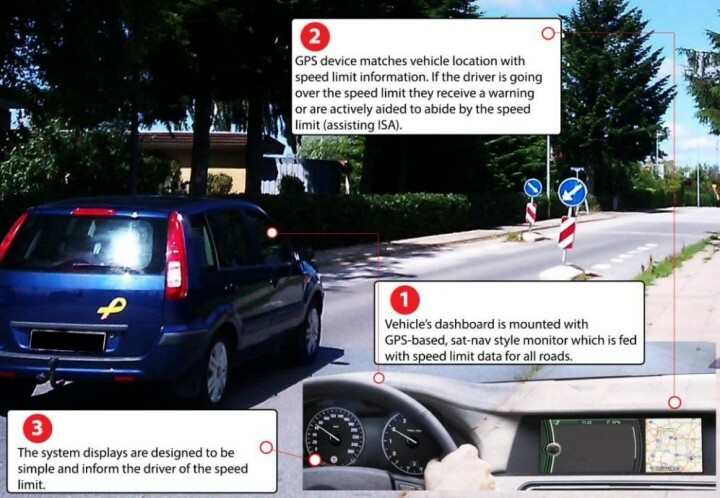 A comprehensive assessment of eight different driver support technologies shows that Intelligent Speed Assistance (ISA) would save the most lives. The research, by the Norwegian Institute for Transport Economics (TØI), and now published in English, found that the overall societal benefits of introducing the technology would outweigh the costs. Selective use for high-risk groups such as young drivers could be even more cost-effective, according to the study. ETSC says ‘assisting’ ISA, that warns drivers of speed limits and assists the driver to adapt to the correct speed, should be introduced on all professional vehicles such as vans, lorries and buses as part of the EU’s ongoing review of general vehicle safety rules, and, in time, for all new vehicle types. Lorries and buses are currently fitted with mandatory top speed limiters, but these have no meaningful effect when driving on urban and rural roads with lower speed limits. See research. ← What if you were invited to your own funeral?